In creating the design for the new Headquarters for China Off Shore Oil Engineering Company it is important to express the company’s dignity and prestige that a distinctive building will provide, through its references and resulting form. 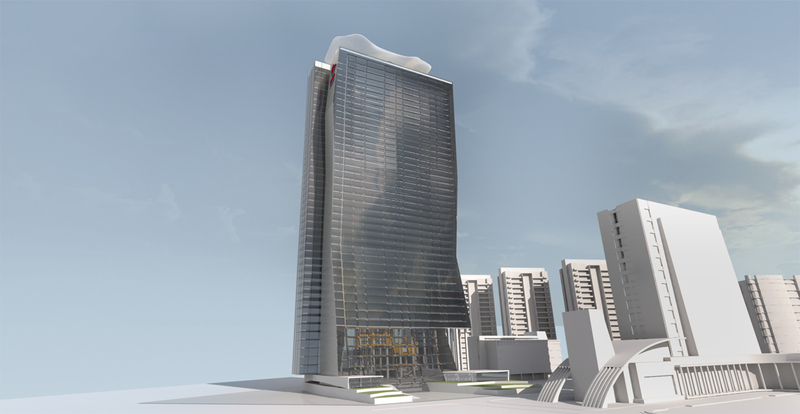 It will mark the growth and substance to the precinct and be an iconic formal signature of the stature of COSOEC. 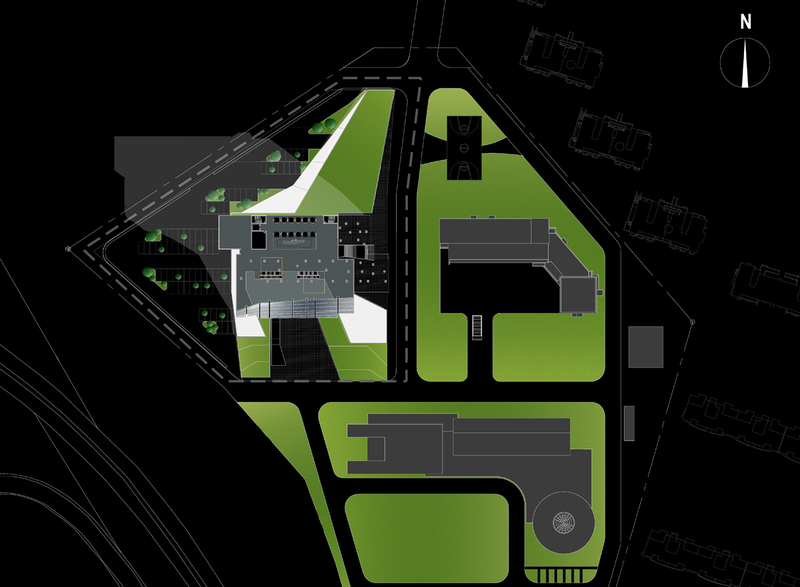 The design approach to the project considers the nature of the physical references that relate to the Oil Industry, the strength of structural elements derived drilling platforms, the land based machinery and above all the passion that these pursuits express in making a strong statement that is equivalent to reaching for the clouds. Therefore the building grows out of its site with and its manmade landscaped terraces, via a grand entry sequence that celebrates arrival with its forest of columns and its voluminous foyer. Meeting room pods of strong colour, are suspended within this space, further animating the theatre of arrival and the company’s creative genius. The tower with its slightly warped surfaces, relate to the colour and slick reflectivity of oil and the soft swell of the sea. 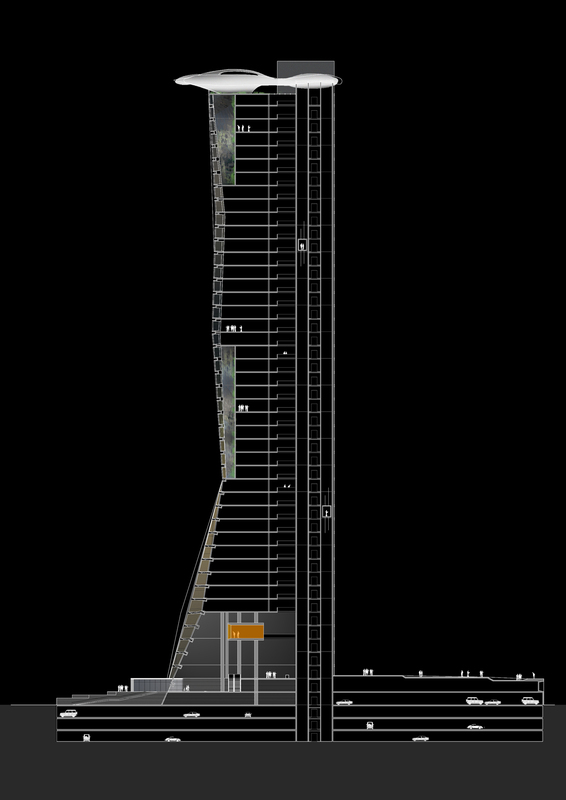 The tower is serviced with glass lifts within a steel framed structure echoing the expressed forms of the exploration platforms. The tower stretches to its maximum height towards the clouds and its appropriately terminated with a floating cloud like form that provide a distinctive silhouette against the sky, shades the activities below and provides a unique conclusion to this prestigious and important signature building. With the ‘cloud’ lit at night’ the building declares itself to its surrounding urban context. The building is committed to a sustainable responsible and considered environmental future and makes the company’s sophistication and success through its commitment to an architecture of excellence.